In a first in the United States, a theater will be permanently raised off the ground and tucked into the new $2.5 billion TSX Tower in Times Square. “We are certainly no strangers to complex structural engineering projects, but this is one of the most complex assignments we have ever undertaken in our 90-year history,” said Cawsie Jijina, principal at Severud Associates, the consulting engineering firm entrusted with the complex assignment by developers L&L Holding Company and Maefield Development. The unprecedented work, which will begin this winter and take three years to complete, will permit ownership to lift the historic Palace Theater and literally insert four levels underneath containing 75,000 s/f of retail space and a new 669-room hotel. On the site at 1568 Broadway, Severud will carve out an additional subterranean level into the bedrock that currently supports the 43-story Doubletree Hotel (which was built above the theater in 1990), and will be actually lowering the tower’s foundation by about 30 feet. Severud’s design calls for a partial demolition of the hotel, adjusting the heights of various floors, increasing the load-carrying capacity of virtually every floor, and building a new state-of-the art hotel. Over the years Severud has aeen the structural engineer of the Bank of America Tower, 20 TSQ with the NFL Experience, and the currently under-construction One Vanderbilt Tower, across the street from Grand Central Terminal. Jijina said, “Raising a theater is unprecedented in the world, as far as I know, but when one factors in the tasks of renovating a significant part of the hotel, and simultaneously physically drilling down 30 feet into bedrock to create new space — all of which must be done while both the hotel and theater are above your head — then it becomes a structural engineering feat. The proper sequencing of the work is essential, according to Jijina. “This involves a very sensitive balancing act of marrying old elements to new ones in such a way that everything will be in a constant state of equilibrium,” he said. The entire process has been approved by the city’s Landmarks Preservation Commission. “It has been a major effort, but all of this close attention to detail will pay off wonderfully,” Jijina added. Built in 1912, “playing The Palace” was the dream of countless famous performers. For many years it was the pre-eminent vaudeville theater in the country. 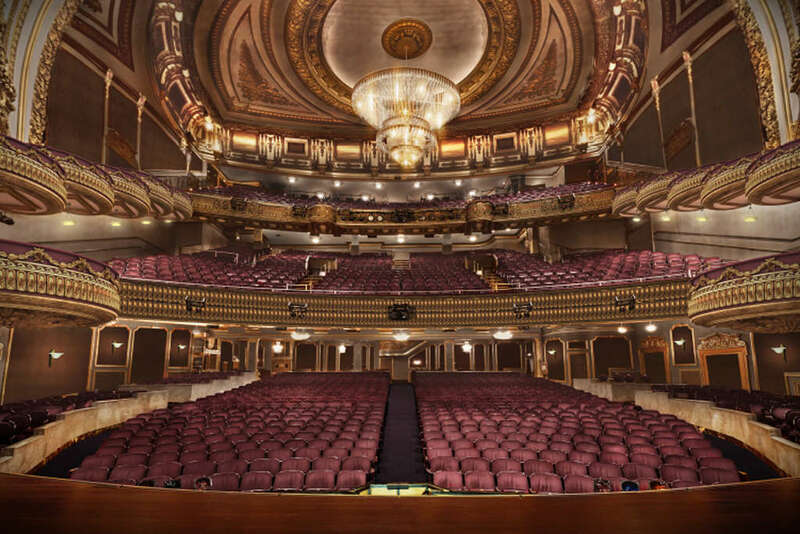 A Who’s Who of entertainment royalty have performed on this stage, including Frank Sinatra, Ethel Barrymore, Harry Houdini, Will Rogers, Ethel Merman, Judy Garland, Jerry Lewis, Harry Belafonte, Bette Midler, Shirley MacLaine, and Diana Ross.